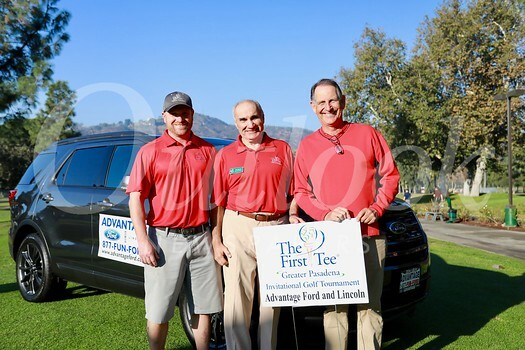 More than 100 players recently participated in the First Tee of Greater Pasadena Invitational Golf Tournament at Brookside Golf Club. Following the tournament, the players enjoyed a reception with an auction to raise funds for the First Tee program. First Tee impacts the lives of area youth by providing educational programs that build character, instill life-enhancing values and promote healthy choices through the game of golf. Bob Baderian is the organization’s executive director; Mark Holdsworth is board president.